Deliver meaningful, measurable experiences with digital asset management (DAM) and martech innovators by your side. For more than 70 years, Widen has served marketers, creators, and technologists who inspire people to work imaginatively. 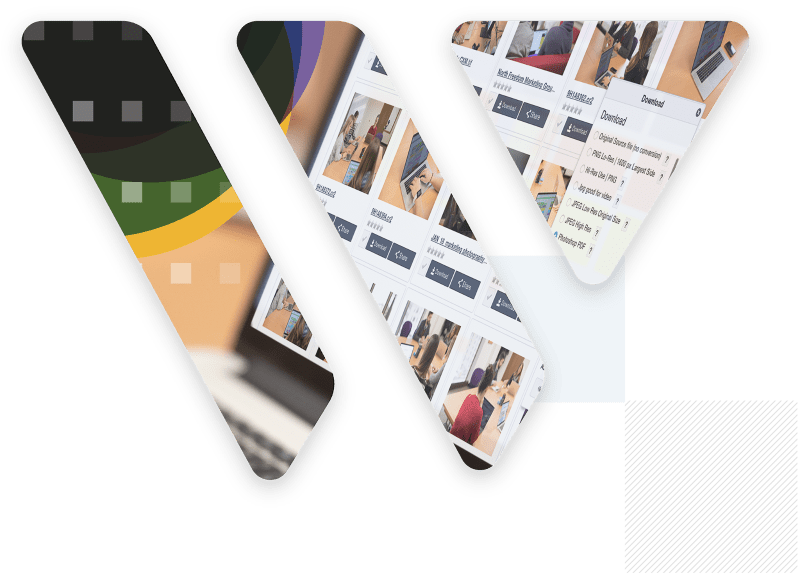 From finding, reusing, proofing, and publishing content to controlling who does what with your assets, the Widen Collective® integrates five powerful apps to help manage your content challenges across the entire lifecycle. 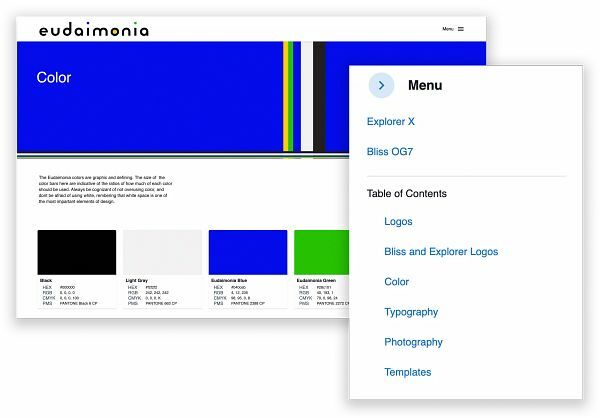 Create a searchable, shareable library of your brand’s photos, images, documents, videos, and other creative assets. Power your brand with a range of applications and integrations that accelerate your content operations. 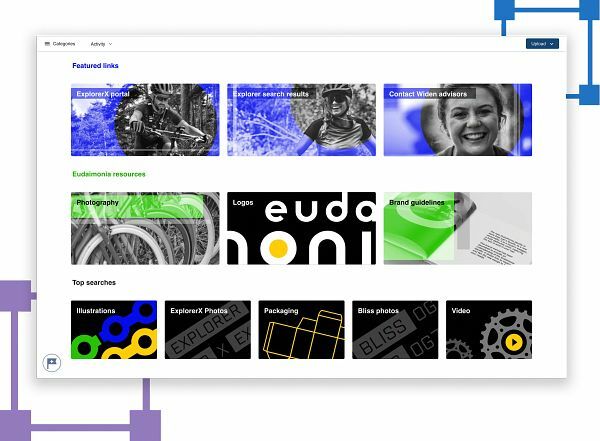 Publish content across different channels and platforms with digital asset management as your content engine. Connect your content to team members, partners, and other marketing platforms. 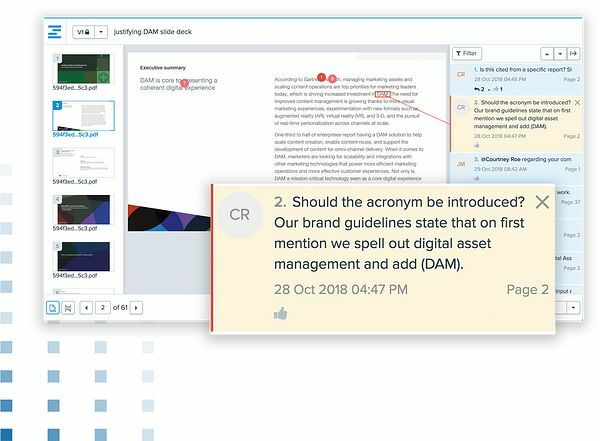 Review, annotate, and approve project files across different teams and locations. 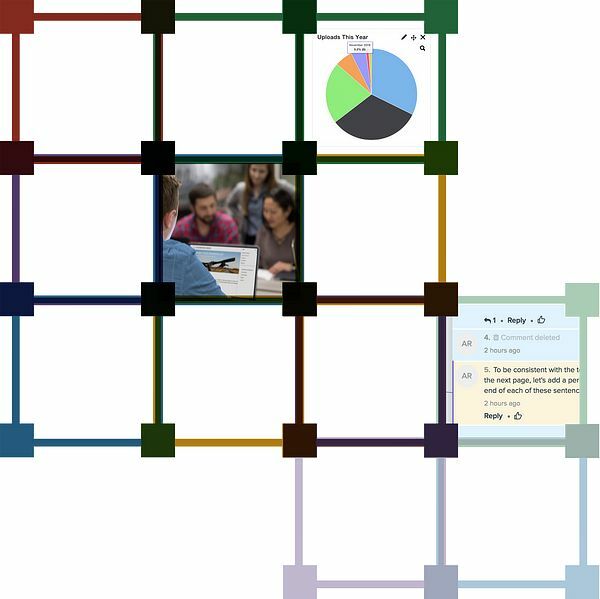 Collaborate with teams on documents, images, and videos in one centralized place. Tag and upload your assets from anywhere in the world – individually or in batches. 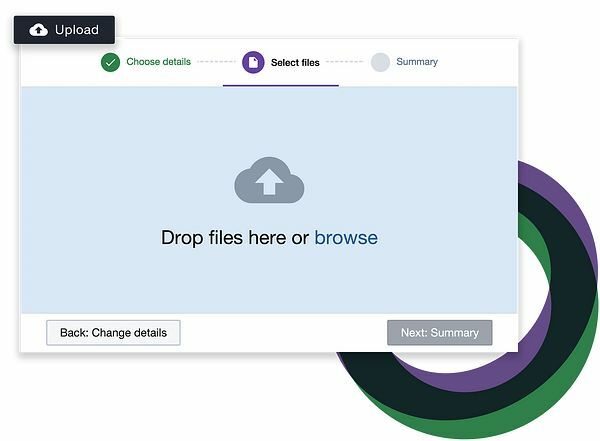 Ingest files and folders effortlessly with drag-and-drop and upload wizard tools. 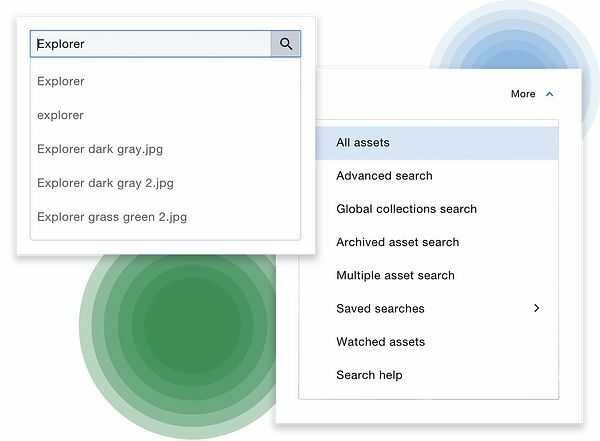 Find your assets easily with quick search, category search, predictive search, or filters. Give users easy navigation options by highlighting digital assets in search groups on your Dashboard. Search for keywords in PDFs and Microsoft Office documents. Distribute your digital assets securely across the web, social, mobile, broadcast, or print. Use share links and embed codes to place image, video, or audio files in any web-based channel and enable new versions to update automatically. 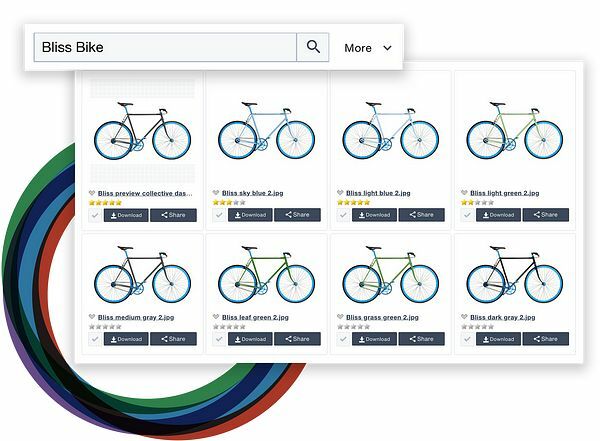 Use collections and Portals to easily share your digital assets with different teams, agencies, and customers. Track user activity and asset performance across many channels. Learn how, where, and who is repurposing your content when assets are downloaded or shared. 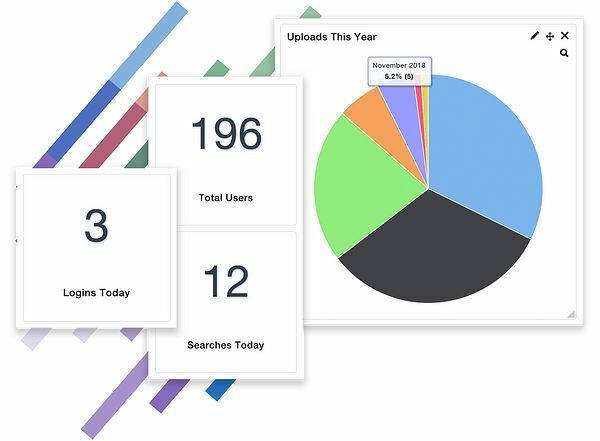 See metrics on individual assets and collections for shares, embed views, and downloads. Our mission is to be the best part of your day. From onboarding and training to professional services, software and strategic consulting, and content production, you can reach your highest potential. With offices in the United States and Europe, Widen is equipped to serve your brand anywhere in the world. 1. We step on the field with you. Some tech companies implement their software, wave goodbye, and wish you luck. The Widen customer experience is a total service approach that never, ever quits. Our experts are like blockers who step in the way of 300-pound problems so you can get to the endzone. 2. We’re DAM black belts. In 1997, we released one of the earliest digital asset management systems. To this day, we’re 100 percent focused on DAM. That kind of longevity and dedication is rare in the martech industry. We create, use, and dream DAM like it’s an art form (which we think it is). 3. We’ve been in business since 1948. From the peak of print to the rise of digital to the frontiers of immersive media, we’ve adapted to all the seismic shifts in communication. Because we’ve seen it all, we’re quick to spot the future – and driven to tap its full potential. We put value over being first. 4. We’re independent. Self-funded and stable, we can make the best long-term decisions for our customers. We have no venture capitalists to placate or growth metrics to chase. 5. Our customers rock. From Fortune 100 enterprises to world-famous universities, we serve over 600 organizations in 158 countries. We have customers in virtually every industry. 6. We get the content lifecycle. From the "eureka!" moment to the approval process to the day an asset retires, our DAM handles all the grunt work. Content has its own "circle of life," and we keep it turning here in our own Pride Rock of Madison, Wisconsin. 7. Culture is our rocket fuel. Widen is certified as a WorldBlu Freedom-Centered Workplace™. We employ people with developmental challenges in partnership with Madison-based Community Support Network. Our CEO (Chief Eudaimonia Officer), Matthew Gonnering, gives one heck of a TEDx Talk. And list the goes on. We think people who love what they do and where they do it will aim for the moon. 8. Then + now. We keep one hand in the past and one in the future. If you need original photography services, retouching, or a catalog product, we’re on it. If you want the most useful DAM system a company can own, we’ve got that covered, too. 9. We’re 100 percent cloud. Our customers deserve the best scalability, ease, and security a tech company can offer. That’s why we built the Widen Collective™ on top-notch cloud infrastructure. No matter how fast you move and grow, we keep pace. 10. We’re obsessed with security. 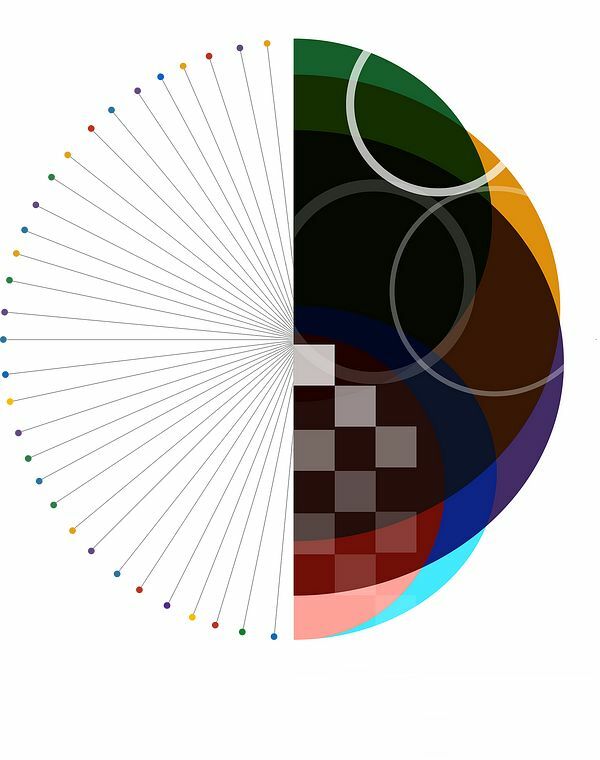 Widen bulletproofs your assets. We participate in regular security audits and penetration tests – and continue to pass with flying colors. 11. We make marketing flow. Some tech companies make fancy features for show. We design every function for your real marketing and creative processes. You’ll find everything you’d expect in a top DAM system and things you won’t get from anyone else. Check out the Collective’s key features. 12. Pay for what you use. We tailor the Collective to your needs. Pay based on the numbers of users and the optional features you choose. 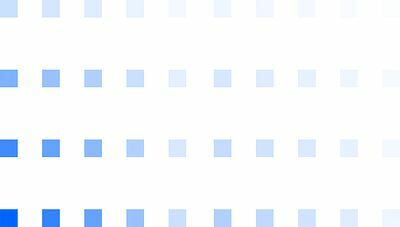 Request a proposal, and we’ll break down the pricing for you. 13. We play nice. A number of popular technology platforms integrate with the Collective. Our API makes it easy for you to take DAM anywhere you need to go. 14. We’re our own customer. We’re the primary test subject for our DAM software. Our digital content production, marketing, and creative teams use our tech and services to do their work. They give us sharp, real-world feedback. 15. We’re educators. Part of our mission is to turn you and your team members into DAM champions, advocates, and administrators. So, we provide oodles of resources to make that happen. Come to live Widen Workshops, learn online, or join us at the annual Widen Summit to get your DAM on. 16. We give a DAM. Marketing and creative people face many of the same challenges no matter where they work. That’s our tribe. We know your pains and aspirations. We measure our success by yours. 17. We love DAM wordplay. And we are aDAMant about funDAMentally changing the way your product marketing flows! Tips for developing your brand guidelines. Create a successful social media workflow with these helpful tips.